"The number one priority of the girls basketball program is the holistic development of outstanding young women. Basketball is a vehicle through which this may be achieved, but wins and losses do not eclipse personal growth. The goal is that every player leaves the program a better person than when they entered it." David Murray has been the Head Coach of Hawken Girls Varsity Basketball for two seasons. Prior to his return to Hawken, Murray coached basketball at Sonoma Academy in Santa Rosa, California, and at St. Andrew's School in Savannah, Georgia. A 2004 graduate of Hawken School, Coach Murray brings a passion for Hawken sports, and a keen understanding of the student and athlete experience here. As a student athlete at Hawken, David was a two-time Old Board Award winner, the highest honor bestowed upon a Hawken athlete. 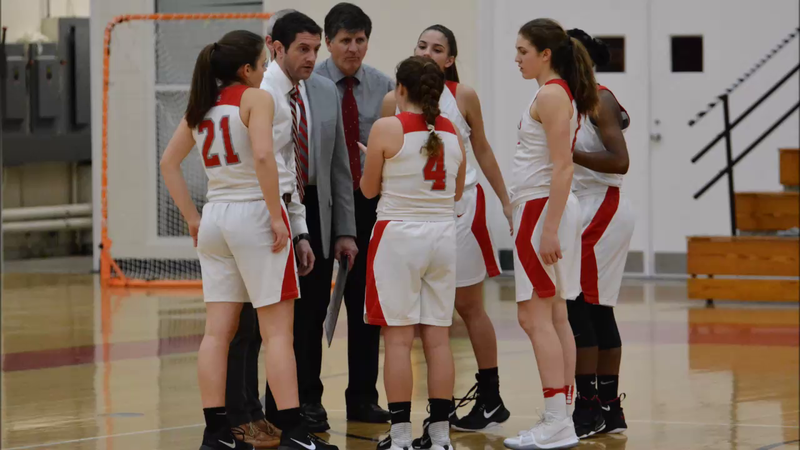 The Hawken Girls Basketball program is centered on the principles of Hard-Work, Character, Accountability, and Service. Hard-work is a prerequisite for success; on the basketball court, in the classroom, and in life. Our program strives to instill the value of hard-work as it relates to all aspects of the student-athlete experience at Hawken School. Character is key to who we are and how we deal with adversity, on and off the basketball court. Our program prioritizes the development of character as one of the primary goals of Hawken Athletics. Accountability fosters growth, both individually and collectively. Our program emphasizes the importance and value of accountability, on the basketball court and in life. TEAM before SELF. Service to others is one of our greatest tools in creating change. The Hawken Girls Basketball program seeks to demonstrate its commitment to this value by engaging in service to the greater community. "Everybody can be great… because anybody can serve. You only need a heart full of grace. A soul generated by love." Three-sport standout and Hawken Athletics Hall of Famer Ginger Theis amassed 132 steals in the 1991-1992 season, a school record to this day. She also hold the career record for steals with 383. GATES MILLS, OH -- West Geauga held Hawken to 20 pts in the first half and stopped a Hawks' 3rd quarter rally to earn a 48-34 CVC girls basketball victory on Saturday afternoon at Hawken’s Red Gym. Gates Mills, OH. – Double digit scoring from both Erica Emig (Junior) and Juliana Pollard (Freshman) guided the Hawks girls basketball to a 41-32 victory over Beachwood in home CVC action Wednesday, Dec. 5.